The Mercedes Benz W108 chassis is no stranger to the pages of the Daily Turismo, but we typically are on the lookout for fuel injected 4.5 V8 versions...today we shift gears and look for a 280S (carburated inline six) with 4 on the floor...and find one! 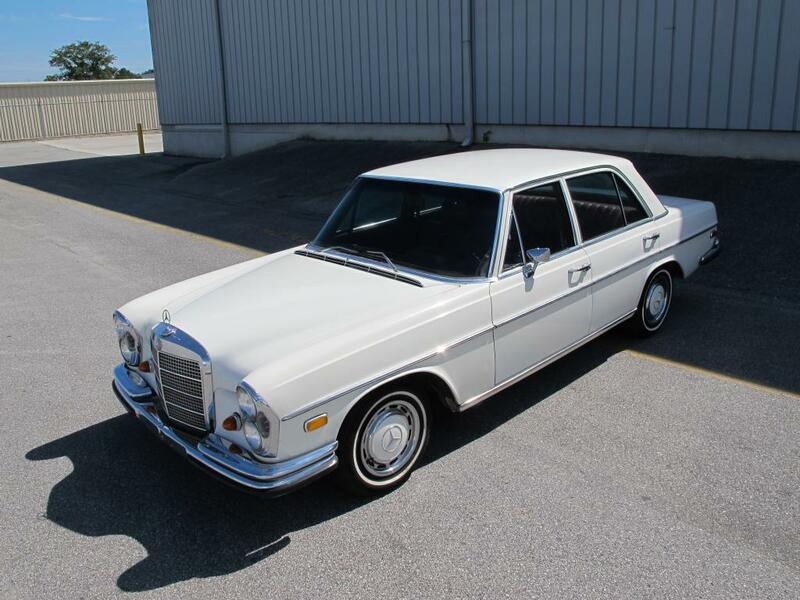 This 1969 Mercedes-Benz 280S 4spd is for sale in Wilmington, NC for $8,990 buy-it-now on ebay. Tip from carcrasher88 on jalopnik. This minty clean 280S has the desirable floor shifted manual transmission, crank windows and non-functioning AC. Drive as-is and enjoy it! Does that look like a <$10k interior? We think not. It smells of rich mahogany. Stay classy, San Diego.